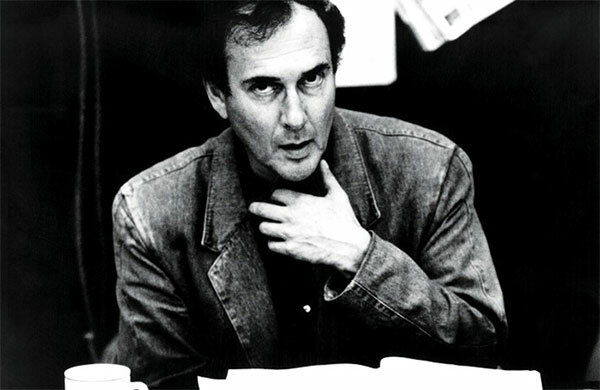 for Harold Pinter on what would have been his 88th Birthday. With the patterned menace and sleek of before. And each statement made its sown pause. As the terrified air found your imprint. Were as subject as anyone ever was to vile threat. You fast breasted were in desire and dream taught to feel. But not what to feel. Because you did not need their influence on you. Had to be created again, to be prized. It has been ten years since your death. Language and life miss you deeply. And so, these words, sent to Harold. In this hope for return we pause, ready. We are the Pinteresque you still teach. This entry was posted on 13 October, 2018 in homepage and tagged David Erdos, Harold Pinter. Bookmark the permalink.